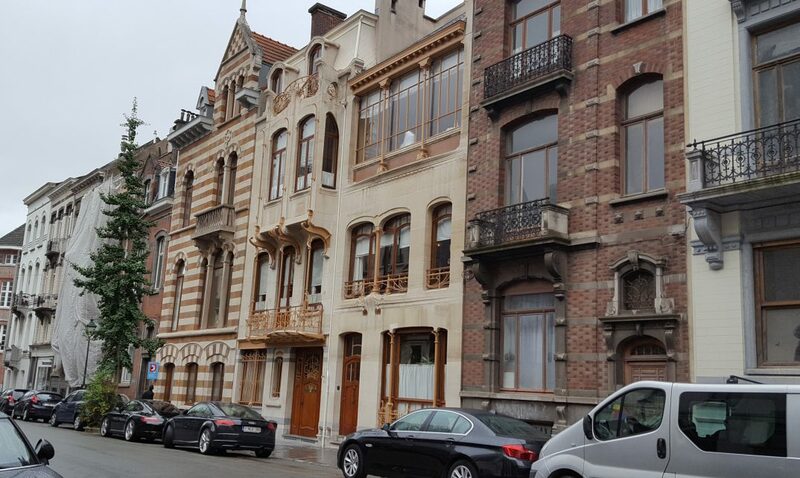 When I was visiting Brussels last autumn, I discovered that the Belgian capital is not only a modern city where politicians are debating the future of Europe. It is also a place of art and history – and delicious chocolate, of course. Going to the visitors’ center of the European Parliament, the Parlamentarium, is a great way to learn how European politics works and how the European idea came about in the first place. You can spend quite a while there, since a lot of the exhibitions are interactive, and let you explore political Europe and the impact politics has on EU citizens and member states on your own. Brussels Grande-Place, the central square, is a most-go, of course. I recommend going in the evening, when all the guild houses, as well as the City Hall, are spectacularly illuminated (picture above). Also a must is the Manneken-Pis, the statue of the peeing boy, that has more than 900 suits to wear for every occasion. Its female counterpart is Jeanneke-Pis, much less known, situated in downtown Brussels, too, but hidden in a tiny cul-de-sac. If you are looking for a place to have lunch, why not visit the Musical Instruments Museum and take the elevator to the top floor of the former Old England department store. Along with a nice meal in the restaurant, you get a great view of the city. You don’t have to buy a museum ticket to get to the restaurant, btw, going up to eat is free of charge. Check the opening hours. The former Old England Department Store, now home of the Musical Instrument Museum, and a restaurant at the top floor, with a spectacular view. 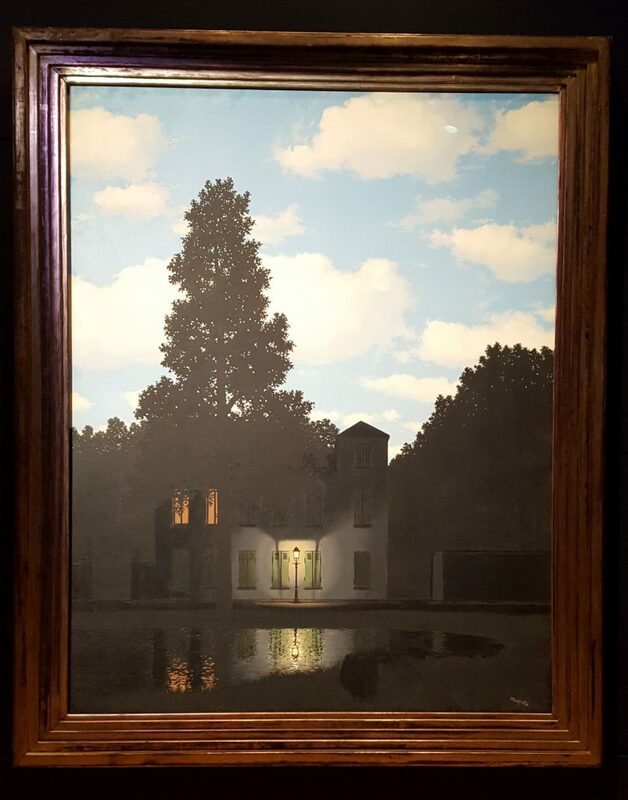 Right around the corner is the Magritte Museum, where I fell in love with Magritte’s painting “The Empire of Lights”. But an even more spectacular museum, although a bit off the beaten path, is the Horta Museum. The two buildings, situated next to each other, and their rooms, furniture, interior design, and art are jaw-dropping. Every door handle, every window, every piece of furniture is a piece of art. The Belgian Art Nouveau architect Victor Horta (1861-1947) lived and worked here. It was recognized by the UNESCO as World Heritage site in 2000. I have no pictures to show, since it is strictly prohibited to take photos inside the buildings. I did not have the time to go into the most famous symbol of Brussels, the Atomium, but at least stopped by to take a peak. It looks really cool. I guess I have to come back one day to check it out. And, of course, to eat more chocolate – either at one of the chocolatiers inside the Galerie de la Reine, like Pierre Marcolini, or at the shop that was recommended to me as the best place to buy chocolate in Brussels: Mary. I bought a lot, for friends and family (and myself) and everybody loved it.